Has work got you down? Is it too boring sitting at your cubicle, banging that keyboard and clicking that mouse all day long? I hear ya. Time to take a break and get creative. 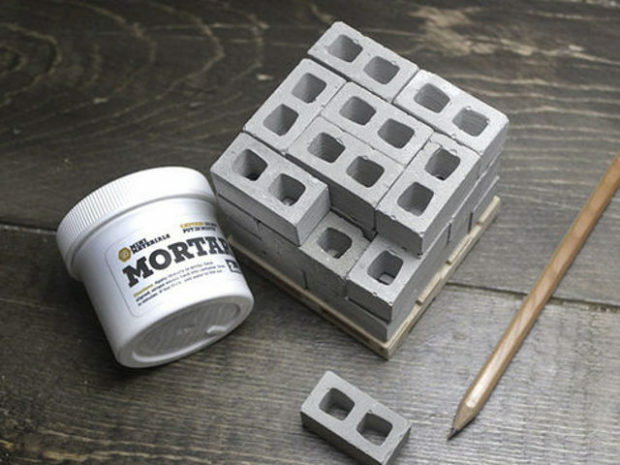 Mini Materials’ miniature cinder block building set is all you need to get a miniature construction site going at your desk. These are the real deal, handmade from actual cement. You also get a jar of real mortar so you can build things the right way. Maybe get some LEGO minifigs together and make it look like a real construction site. That’s what I would do. 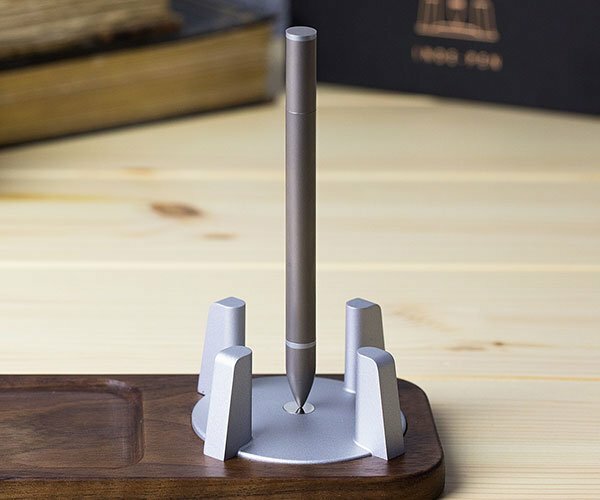 You could build a pen and pencil holder or some other desk accessory. Maybe even a replica of a real building. 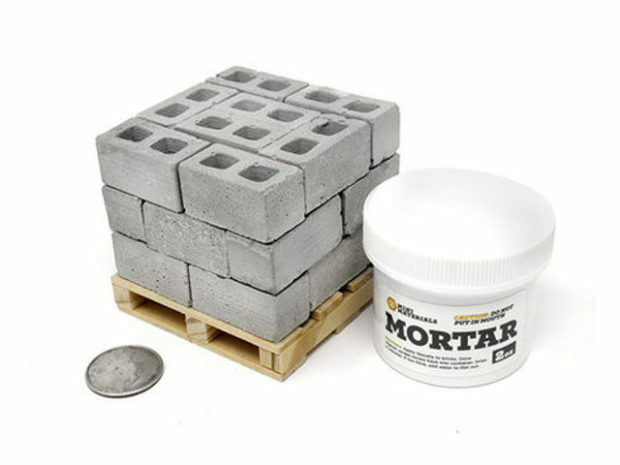 This tiny block and mortar set comes with a wood pallet stacked with 24 cinderblocks for $22.99, and a set of 50 additional blocks is just $29.99. The possibilities are only limited by your imagination – and by how often your boss walks by of course. He probably wouldn’t approve of your side job as a giant construction boss yelling at little people to build faster. Some people just don’t understand a good time.